Really, that is my first reaction upon finishing this book. And I cannot think of a better way for a book to leave me feeling. I mean, I fell in love with the cover before I even knew what the book would be about (LOOK AT THE PRETTY!!) and when I came to understand that it was a YA mythology I went all crazy-eyed and just felt the urge to HAVE IT. So to say that I was beyond exstatic when I received the e-ARC is putting it mildly. And this book did not disappoint in the least. I'd heard people rave about it before I had the chance to read it myself and you know what? THEY WERE ABSOLUTELY RIGHT! 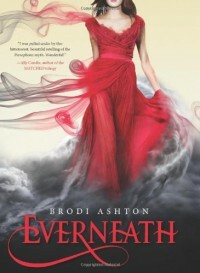 Everneath by Brodi Ashton was SO amazing! I fell in love with the beautiful writing at the first page. Seriously, evidence is my tweeting of 'I'm only 12 pages in, but I already know I'm going to love it'. And it was so, SO good! It made my little bookloving heart very happy. I really liked Nikki. I know she made a really stupid decision when she joined Cole in the Everneath, but really, I could get where she was coming from. I mean, she was really insecure about her relationship with Jack. And while from the first moment I read about it, I couldn't believe sweet, awesome Jack would ever do something like that, I can see how she would. And I liked that she wanted to make it right with her loved ones when she Returned and wasn't all accusatory towards them and only blamed herself. And maybe Cole. But that's totally justified. And let's just say it: Jack is amazing. Seriously, that boy! 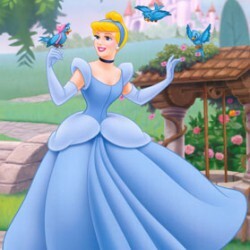 He made me swoon and smile and cry... And I loved him. He was everything a boyfriend should be and I loved the moments he and Nikki were together. I loved how they awkwardly sat next to each other for hours and hours in class and didn't speak. I loved how he tried to get her to talk to him again and their history together. Then there's Cole, the 'villain' in this story. I know he's the bad guy, but I really liked him as well. Don't get me wrong, I'm 100% Team Jack, but there's something about Cole that's got me not hating him even though he does some really bad things. I loved it all: the story, the characters, the minor as well as the main characters, the writing, the romance, THE BOY, the mythology... I wish I had more words to do justice to the amazingness that is this book. I would have read this all in one go if my boyfriend hadn't insisted I needed sleep (which let's face it, he was right about).